When you think Peranakan, it's inevitable for your thoughts (and taste buds) to wander off to the delectable Peranakan cuisine which is a blend of Chinese ingredient with Malay cooking techniques. The result is a myriad of flavours and a brilliant blend of tangy, aromatic, spicy, and herbal. In this post, we're bringing you a few of our favourite Peranakan haunts that's sure to satisfy any Buah Keluak cravings - after all, part and parcel of experiencing Peranakan culture lies in filling your stomach with the best Peranakan food available, right? You know know what they say - there's no better way to anyone's heart than through his/her stomach. One of Singapore's few restaurants that was awarded the much coveted Michelin star, comes homegrown, Candlenut Restaurant. 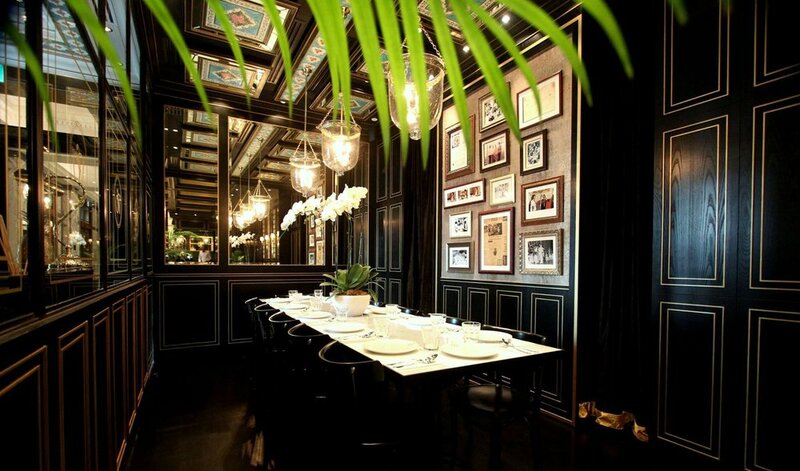 Candlenut is the world's first Peranakan restaurant to be awarded a Michelin star. Helmed by Chef Malcolm Lee who was the very first Singaporean recipient of the Miele Guide Scholarship - this restaurant only serves a fixed price menu for dinner at $68sgd ++. Nestled in the beautiful National Gallery, your dining experience at National Kitchen by Violet Oon is bound to be a visual feast - literally! Surround yourself with sweeping views of the Singapore skyline as you tuck into a Peranakan feast that's sure to overwhelm you with culinary satisfaction and nostalgia. For a different experience... try their Peranakan high-tea menu that replaces scones and savoury sandwiches with eclectic local delights with a twist. Think Otak Crostini and Pulled Beef Sambal Pao. While it's not quite your typical high-tea ensemble, the set also features sweet desserts such as our beloved Kueh Lapis and Kueh Dah Dah. All in all, this truly Singaporean high-tea sets serves as the perfect finishing touch to the day at the National Gallery as you explore local history, heritage, and flavour. 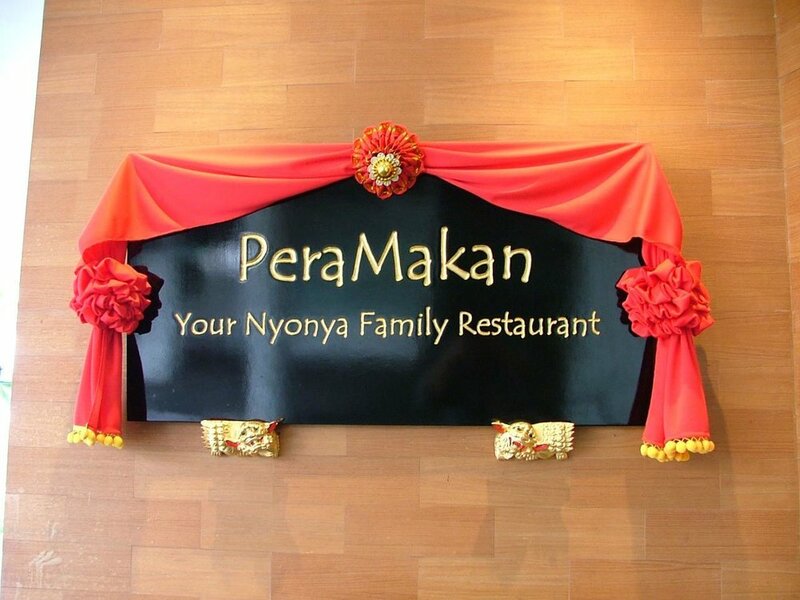 A whimsical play of words as they marry "Peranakan" with Singapore's national past-time, "to makan (eat)" - Peramakan is a firm favourite amongst numerous blogs and forums - and for good reason. No fancy names or mix of fusion techniques, this restaurant serves hearty quality Peranakan food at a reasonable price to boot. Expect a gastronomical experience that's a firm dedication to preserving traditional and authentic flavours without gimmicks - one that's bound to warm your soul and tummy. Don't forget to order... their Babi Pongtay and Bakwan Kepiting which are practically staples for every Peranakan dining table. These good ol' Peranakan signatures are perfected at Peramakan to transport you back to your grandparent's home with every morsel. For a complete sensory experience of one's culture, you cannot dismiss the indelible food that accompanies it. 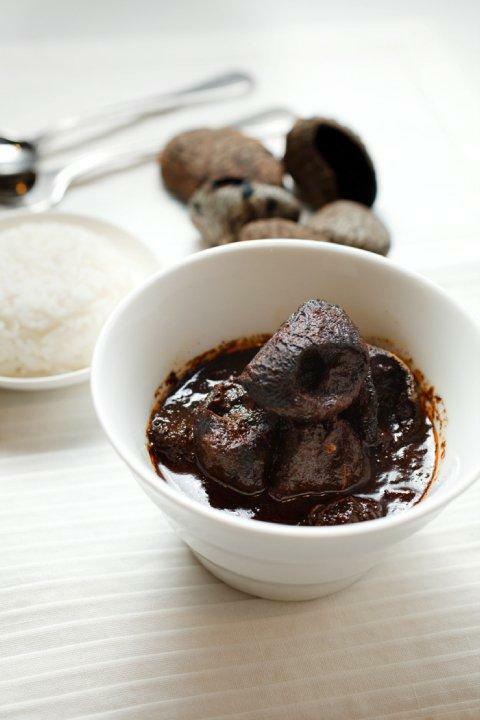 These are a few of our top picks for whenever an insatiable Peranakan cuisine craving kicks in. Although our recent Peranakan Flower collection isn't exactly inspired by the Buah Keluak or Bakwan Kepiting - it's undeniable that the Peranakan culture encompasses more than just their beautiful and opulent outward aesthetic. Find out more about our latest Peranakan-inspired collection, and the behind-the-scenes of the Peranakan Flower in our blog, The Insider!